Labor can be added as line items in each room on a proposal. 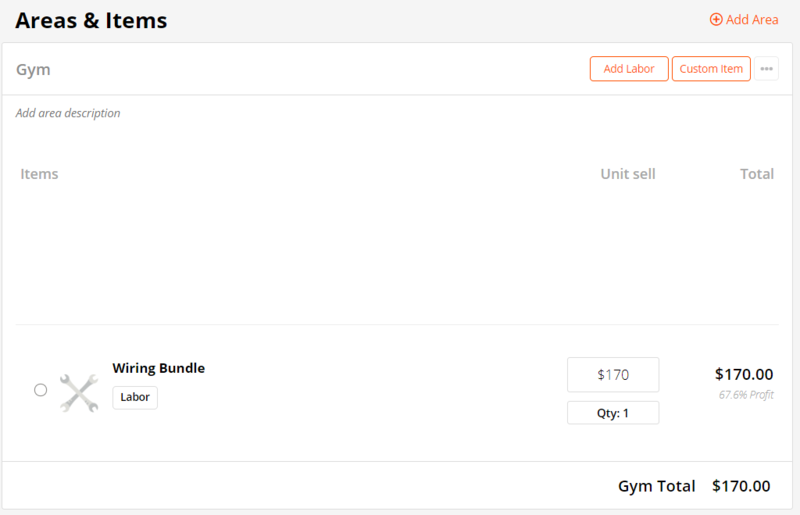 Each room on your proposal has the option to add Labor Items. You can find an item you've already created by scrolling through the list or typing the name in the search bar. Once you've selected the item you want in your room, the Add Selected Items option will appear active. Labor is then listed at the bottom of the room with a wrench icon. These items are static & cannot be rearranged within rooms. 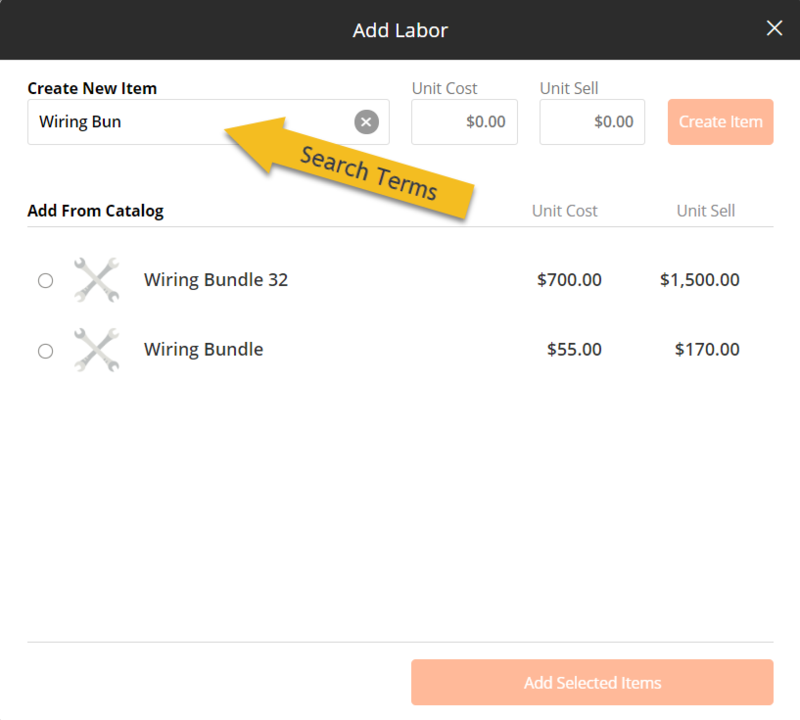 To add a new Custom Item, fill in the fields for Item Description (the same area to search for Labor Items), Unit Cost, and Unit Sell. 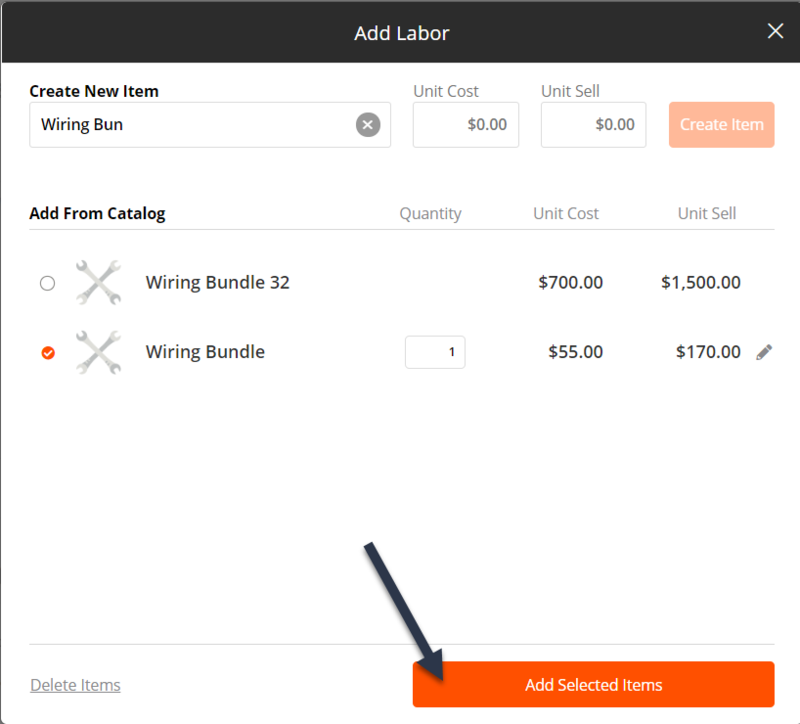 Once all three fields are filled in, the Create Item option will appear active. Then select the new item from the list to add it to a room.